Abie was born and raised in Virginia where he responded to the voice of God at an early age. He graduated from Valley Forge Christian College in 1994. He has served in various forms of ministry as an assistant pastor, church planter, teacher and evangelist over the past fourteen years. Melissa was born in Willingboro, NJ where she also responded to God’s voice at a young age. The call to ministry came as a teenager and she attended Valley Forge Christian College where she and Abie met. Melissa has served as worship leader, intercessor and children’s ministry leader over the past fourteen years. Abie and Melissa were married on September 16, 1995 and have two amazing children: Noah Abraham born in September, 2000 and Elijah Lawrence born in July 2006. In 2000 the Lord began to give Abie and Melissa a vision of His heart for Burlington that has deepened and expanded over the years. They believe that God has chosen Burlington City as a “new wine skin” to be filled by His Spirit and then to pour out that Spirit through prayer, worship, reconciliation and unity. Their heart and the heart of City of Refuge is to see unity begin in the Body of Christ and spread to the community at large; to see the barriers of race, religion and economic status destroyed and to see Burlington become a true place of refuge—rest for the weary, peace for the troubled and healing for the broken. Amanda has lived in Burlington since the Spring of 2014 and has been part of City of Refuge Fellowship since the Fall of 2011. 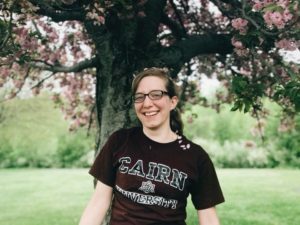 She grew up in Cinnaminson, NJ and responded to God’s calling at a young age. It was during her middle school years that God began leading her towards ministry and began placing His desires for the youth on her heart. Amanda attended Rutgers University in Camden and graduated in 2013 with a degree in English and Religion. 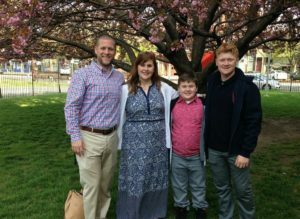 Amanda has served as a Sunday School teacher, small group leader, intercessor, and youth leader. She comes from a family with a rich heritage of serving God, pursing a deep relationship with Jesus, and making His name known. It is her desire to continue with those passions and build on what her family has already accomplished for the glory of Christ. Over the years, Amanda has listened for the still small voice of God as He spoke His promises and desires to her and led her to Burlington. In the moment she may not have always understood how His desires would come to pass, but she was confident that He was leading and surrendered her life completely to be used by Him. It is now her desire to pour our God’s love here in Burlington, especially among the youth so that they can all know what it means to be loved and cared for by our Heavenly Father and enter into their own relationship with Jesus that is real and personal. 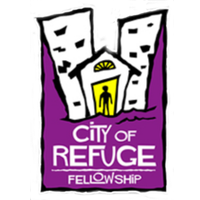 © 2017 City of Refuge Fellowship. All Rights Reserved. Made by Driven by Design Creative Agency LLC.